MSD makes it easy to enhance the speed and performance of your fuel injected Yamaha Rhino! 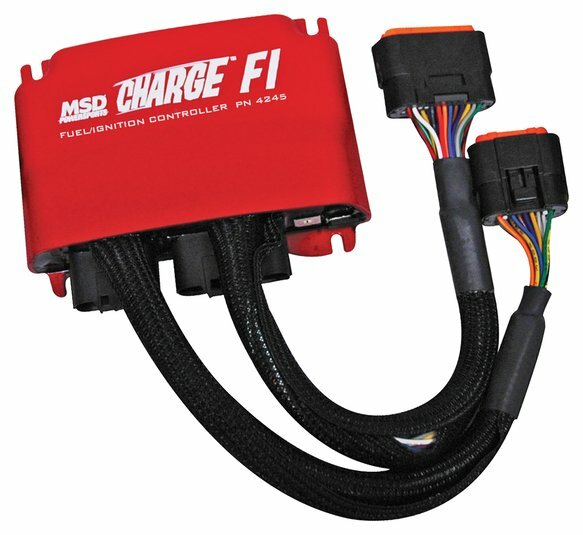 The Charge FI is an advanced ignition and fuel control that is not only easy to install, but also easy to use! The Charge FI incorporates factory style connectors for a direct plug-in installation on 2011 and newer Rhinos. Once connected, you can simply turn a dial to use one of the 10 different calibrations built into the Charge FI, or connect your laptop and program your own timing and fuel map. The 10 selectable cals include timing and fuel enhancements based on modifications to your Rhino. Also, there is a 'Chaperone' mode built in for less experienced riders that will lower the speed and rpm. For riders looking to get the most out of their side-by-side, the Charge FI can be connected to your PC so you can custom tune the ignition timing and fuel delivery to compensate for engine modifications. MSD View software is supplied and is easy to use with most Windows based PCs.